Guerrilla Games got a lot of credit when it transitioned from the linear Helghan corridors of Killzone: Shadow Fall to the vast open expanses of Horizon: Zero Dawn, but Sony Bend may be making one of the biggest leaps in gaming history with its all-new apocalyptic intellectual property Days Gone. For the past 15 or so years, the Oregon-based outfit has been working almost exclusively on handhelds, and while it may argue that PlayStation Vita launch title Uncharted: Golden Abyss had the production values of a full-scale console game, the reality is that protagonist Deacon St. John’s encounter with the undead is bigger than anything it’s attempted in its 20-plus year history. The pressure must be immense for the first-party studio: the game follows a spate of award-winners, including last year’s God of War, Detroit: Become Human, and Marvel’s Spider-Man. But after an enormous three hour hands on session, we can safely say that the ex-Syphon Filter studio has comfortably risen to the occasion, and while this survival horror-tinged open world title doesn’t have quite the same creative flair as some of the aforementioned, it does have an air of comfort food to it that is sure to satisfy even the most discerning gamer. You know it’s a Sony published game because the demo begins with a prologue, as Deacon – outfitted in a baseball cap now more iconic than Aiden Pearce’s – helps his injured wife aboard a helicopter. 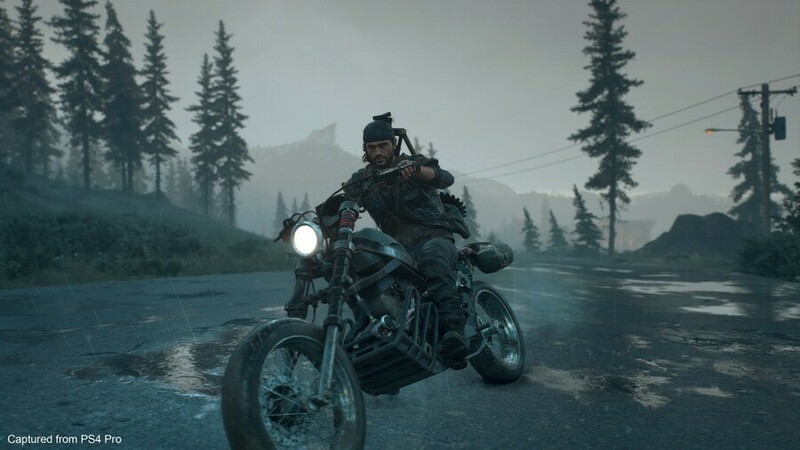 The theme of the game, at least during the demo, appears to be all about loyalty, and so despite this clearly being the love of his life, he decides to stay behind in order to help his motorcycle riding mate, Boozer. The scene uses every cliché in the book to help build an instant connection to its cast, and while it’s never going to leave you streaming like The Last of Us’ incredible opener, it’s fair to say that the production values are right up there with what you’d expect from a PlayStation 4 exclusive. In fact, the entire opening hour is a roller-coaster, as we fast-forward two years to a bearded St. John in pursuit of a rival gang on his motorcycle. Controlling the drifter bike is loose, but once you learn more advanced techniques like boosting and sliding, it’s a surprisingly fun form of navigation – an essential for any open world game. The really unique thing about the motorbike is that it becomes your sanctuary when you’re out in the field: you can only save when you’re next to it, and its resources run dry quickly, meaning that if you deplete your fuel reserves then you’re going to have to head out on foot in search of more. While structurally the title has more in common with, say, Far Cry than Resident Evil, it’s pretty obvious that resource management is going to be essential over the course of the campaign. Ammunition and items are generally in short supply, and the title’s really good at putting you in situations where you feel like you only just have enough assets to survive. It’s incredibly easy to stumble into situations where you’re ill-equipped to deal with them, and so this does add a sense of tension to the open world; sneaking past a couple of snivelling Freakers in order to get to a fuel canister can be a white knuckle experience, and it’s the kind of off-the-beaten path gameplay that makes the out-of-mission encounters engaging. But this is an open world game, and Sony Bend isn’t really reinventing the book. Camps contain various characters, who end up being either quest-givers or merchants. The campaign appears to be divided into a sequence of story threads, each feeding into an overall narrative that we have suspicions about where it’s heading. One mission, for example, sees you exploring a rundown neighbourhood in order to rescue a teenager who’s been living alone since the collapse of society. The cut-scenes are actually decent, and while it’s nothing you won’t have seen before, the actors do an agreeable job of working with a slightly cheesy script. The missions are open ended by design, so you can choose how you want to approach encounters. The gunplay isn’t the greatest, but extremely impactful sound effects pair with some robust hit reactions to make for satisfying gauntlets against both human and undead enemies. Of course, you can also approach stealthily if you prefer, while makeshift melee weapons can be constructed out of materials you find in the world. It’s all fairly standard stuff, but using rocks to lure enemies into the vicinity of explosive canisters and then letting rip rarely ever gets old. Of course, when you’re forced into playing spontaneously, a good user interface is essential, and while Days Gone’s radial menu can take a little getting used to, it makes crafting on the fly a breeze. You can build everything from Molotov cocktails to crossbow arrows in a jiffy, and there’s a full skill tree that obviously feeds into how quickly and effectively you can construct things. To be fair, the user interface as a whole is a thing of beauty, and it’s just another sign of how much care and effort the developer’s invested into the game overall. It really does feel polished – perhaps an indication of how delays have helped the project reach its full potential. The only real oversight technically is that the cut-scenes don’t run in-engine, which may sound minor, but it makes the transitions between gameplay and cinematics irritatingly obvious. Unfortunately for Sony Bend, titles like God of War have pushed the industry forward in this regard, and it can make the game feel strangely archaic as it fades to black for video playback, then repeats the entire sorry saga once more to put you back in control. Many will be able to overlook this niggling issue, but it sticks out like a sore thumb. Running on a PS4 Pro, it can also be a touch framey – particularly when you’re coursing through the open world on your bike. We didn’t actually encounter the title’s trademark World War Z-esque horde during our hands on, so we’re a touch concerned that performance will struggle there as well. On the flipside, though, the world very much feels like it’s “alive”, with wildlife minding its own business and Freakers stumbling about in the wilderness. There are rival gangs dotted around the map, and while their ranks include a cringe-inducing cult with RIP carved into their foreheads, it means that you need to keep a close eye out for traps lest you unknowingly ride into them. The game eases the constant sense of tension with some flashback scenes, designed to – in the case of our demo, at least – explore Deacon’s relationship with his wife-to-be. This does help to flesh out the characters, and the writing is somewhat sweet, as the young lovers bounce off one another with witty one-liners. Our only concern is that we already think we can see the “twist” coming a mile away, and we hope that we’re mistaken. Days Gone, though, is exactly what you expect it to be – but that’s perhaps a reductive way of looking at things. The production values are almost on par with Sony’s premier first-party studios, which is impressive when you consider Bend’s back-catalogue. And the gameplay loop appears to be very strong, with limited resources lending a real sense of tension to each and every encounter – whether they’re with the living or the living dead. The bike adds a unique twist, as it becomes your sanctuary out in the field and something that you need to plan around. But its own idiosyncrasies aside, this isn’t reinventing the wheel, and if you’re burned out on franchises like Far Cry, then don’t expect Deacon St. John’s inaugural outing to rip up the rule book – even if it does look like he has a rebellious streak. 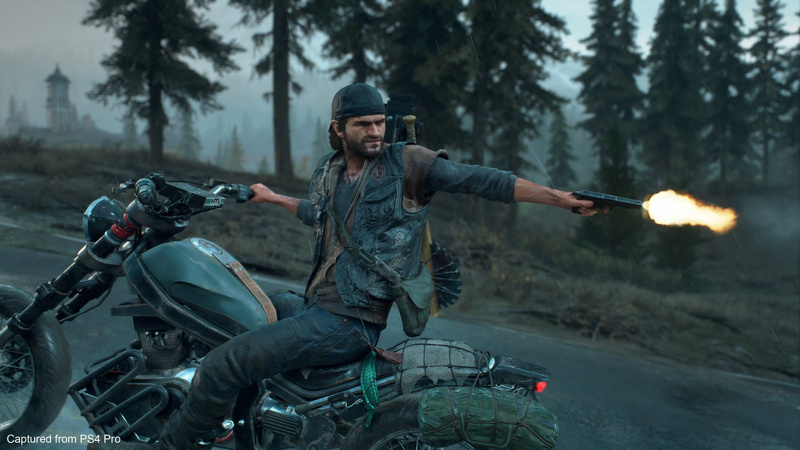 Will you be jumping aboard Days Gone’s saddle come launch on 26th April? Do you have any burning questions about the survival horror-themed open world game? Fight the Freakers in the comments section below. Any questions, please just copy me in and I’ll answer when I get an opportunity! Sounds really good and seems you liked it. One thing I hate though is when a reviewer complains about not reinventing the wheel because what game does nowadays? I also don’t see the far cry comparison at all. I could a little with horizon zero dawn which didn’t seem to matter but with days gone I don’t see anything that even remotely reminds me of far cry. @get2sammyb You mentioned cutscenes not running in engine, do you mean like they're a higher quality render (it's hard to tell on my phone), or just pre-rendered with a hard cut between the cut scenes? @get2sammyb One thing that irritates me about the existence of the Pro is that all reviewers everywhere immediately switched to it, with the result that people still playing on the original ps4 don't know how the game performs on their system. So, my question is: if it's 'framey' on the Pro, what about the base ps4? Any idea? Not at all a fan of zombie games, but for Sony's sake I'd like to see this exclusive do well. Does look better than expected. Did you get to experiment with different type of weather on similar missions? Is the weather completely random, a way to add replay value? I totally agree. It's a way to justify lowering a score when there's nothing to really find fault with. Not much else to say really. I've always had faith that the game would come together. Sounds like open-world comfort food with a story, which I could really go for right about now. 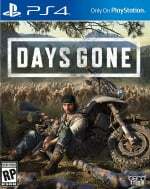 @get2sammyb Do you think Days Gone feels less impressive in a post-Red Dead Redemption 2 world. I feel like that's the bar most people will judge open-world games by. This is a bit disappointing for me. I was hoping that coming from the makers of Syphon Filter, the gunplay would be the highlight of Days Gone. That said, I’ll still be getting it. It looks fun overall. I agree that games don't need to reinvent the wheel as well. I mean sure if it succeeds in doing so great,but it was never a selling point for games to me. Maybe it's for the better that they stuck with the safer method and Spend their budget making the game they wanted without risking to much for sake of originality. Perfromance issues and the last sentence told me what I've already suspected, this one can wait for a sale in about a year or so. Eh, I can wait a year or two, I’m not a big fan of zombie stuff and I’m a bit sick of open world collectathons. @get2sammyb Is this game more cinematic focused or gameplay focused, you'd say? He did say 'extremely impactful sound effects pair with some robust hit reactions to make for satisfying gauntlets against both human and undead enemies' so that's quite good. @get2sammyb Can you take his baseball hat off? Looking forward to the game, I'm not expecting it to challenge for a place in my favourite games list but it seems like it will be good. If I enjoy my time playing it that's all I'm after, anything more is a bonus. @get2sammyb long time reader first time writer. Do you know how old the build you played was? Hopefully some of the frame rate issues are sorted by release. "its all-new apocalyptic" Hold it right there. New? I really hope so because I want a new Syphon Filter. @JJ2 Ya it should be fine. The overall game seems like it will be really fun. the preview read like it would score an 8 or so, which is plenty enough for me to support a new IP. Thank you for the excellent preview Sammy. The game sounds pretty much on par with what I was expecting. It should appeal to most gamers and is a game that will do decently at the register but doesn’t sound like it is going to light the world on fire like Spidey, GoW, or Horizon, and doesn’t quite have the innovation of a Detroit, Dreams, or Concrete Genie (speculating only about those last two of course). It’s somewhat unfortunate that Sony has set the bar so high with its first party products that a solid game will probably end up seeming like a disappointment. 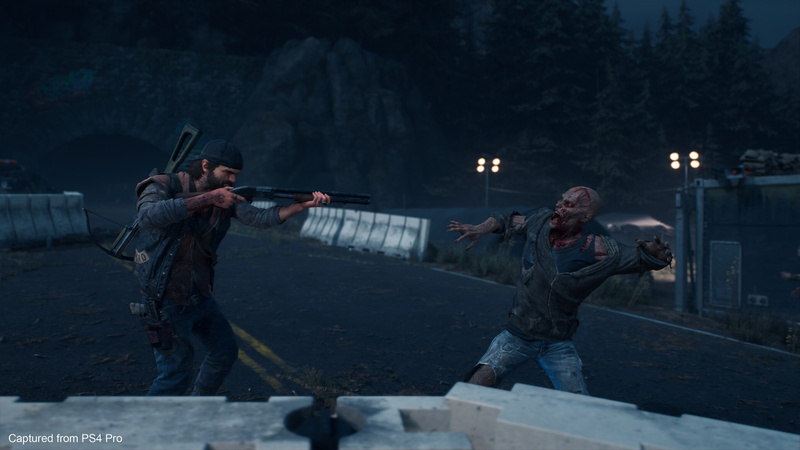 If the quality ends up being on par with Far Cry 5, that’s really quite an achievement for a new IP, but fair or not — we have come to expect every Sony exclusive to be a game of the year candidate and Days Gone sounds like it likely isn’t quite that. We’ll see. I want to support Bend, but probably won’t get this day 1, having a smidge of open world fatigue still after Red Dead 2. And yeah, zombie fatigue as well. It sounds better than I expected to be honest, don't know why given Sonys recent track record but I was not excited at all be this when I first saw it. Will defiantly be keep an eye on it but The hordes still look like they will tank performance. @RedMageLanakyn Fraud, you were never buying it to begin with but you sure do love popping in every Days Gone thread crying about it. Sounds like what I'm expecting. I think if people go in with the expectation that it's going to be a solid blast rather then the GOTY contender quality GoW of Horizon were then I think most will be satisfied. Not day one for days gone for me, as I have other I wanna play before this. But still very much interested and will pick it up at some point. I still hate the main character's design and the generic look of the game in general, but the gameplay sounds... surprisingly good? Seems like it might be a lot less "cinematic" than a lot of Sony's recent outings, and I'm encouraged by the fact that that the game isn't seamlessly blending cutscenes with gameplay. Also, it sounds like the zombie encounters in this game might not be generally driven by ridiculous set-pieces where you're chased by tumultous hordes of the things, as in the initial E3 demo? I'll keep a closer eye on this. Still sounds great, but my backlog will keep this from being a day 1 purchase. @Fight_Sora_Fight Not really, it’s such a different type of experience. @JJ2 Didnt get to replay any missions but did see it start to rain, etc. @JoeBlogs Well they’re only showing the PS4 Pro version but Sony first party has generally been pretty good at maintaining consistency between the two models. I expect it will run the same on base PS4, just at 1080p. @Octane There is probably some extra processing in the cutscenes but it’s not a jarring transition in terms of visual fidelity. It’s just grating how the game cuts to black constantly. @dark_knightmare2 It’s definitely got elements of Far Cry going on, which is not a bad thing because Far Cry is fun. @That_guy Not sure on the date of the build but it wasn’t final code so there’s still time for optimisation. @Kidfried Gameplay I guess, but it still has a very strong story focus. @Morenoj1220 Hard to say, but it seems pretty meaty. @deepspace5d It’s not terrible or anything. And the sound effects have massively improved. The gunplay being jagged is a sign of the type of game it is. Apocalyptic landscapes with constant adrenaline rushes and impromptu battles would be too easy if the character played like Syphon Filter or a Hitman. This is supposed to be Joe Schmuck in an unfamiliar world so I think it'll work, much like TLOU. Too much back log for me at the moment, but I'll own it eventually. Oh God. I'd forgotten about (blocked out) TLoU's opening. Happy thoughts. Happy thoughts. @manu0 There really aren't that many of them. @get2sammyb This not a zombie game from what I’m reading here and in others who have had similar experience as yourself. The freakers have behaviours different to usual zombie type games which has piqued my interest since I seen it a long time ago. I don’t know of other zombie games where they ‘nest’, ‘feed’ or react to environmental changes. If you had to draw a comparison to another ‘zombie’ game to describe Days Gone... what would it be? Cheers! I find the ''zombie fatigue'' comments funny, where were you when Resident Evil 2 came out last month? @get2sammyb When you found that kid, it looked like the last of us. Great review man. 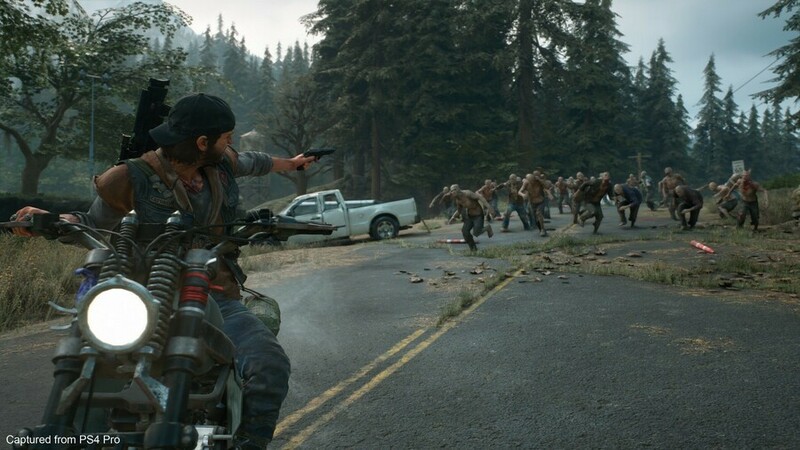 It looks great, Days Gone is Day One. Pre-ordered it a few weeks back. Very much looking forward to it, and am sure I'll enjoy it. Been gaming long enough to know exactly what I like in games, and I'd be picking this up even if reviews were 'meh'. For me it's like uncharted or Bloodborne. If they gave it 1/10 I couldn't care less. Scores are such a futile thing and the most subjective idea ever. I'm kind of stressing about which version to preorder though. Can't decide on disc or download. @JJ2 Exactly. I'll refer to reviews if I'm on the fence about a game, purely to try and get more details. Other than that, I've been gaming long enough to know what I like, so I generally ignore the score and anything I perceive to be the reviewer's own personal opinion. I've enjoyed low-rated games immensely, and I've been underwhelmed by games which have scored highly. For story-driven games, the subject is important to me. Everyone's raving about RDR2, and having watched a friend play it, purely as a game it seems excellent... yet I have zero interest in it because it's cowboys. @Paranoimia Good question! Yes, it was in the menu, and it's a good one with different borders and stuff. @Riparcade2 Far Cry... With zombies. I don't know really, despite all the people saying it's "generic", there isn't really another game like this — even if it is generally built on concepts and ideas that have been explored before. I think I'm actually going to buy this game now. I doubt it'll be a day one purchase for me, but perhaps during the summer months. I'm predicting reviews will range in the "8" range, which is great in my book. All the previews are trending positive. That’s good news! So how are the controls and combat compared to Uncharted vs. GTA/RDR? I love Rockstar games, but can’t tell you how many times I’ve triggered the law with janky controls. @lacerz More like Uncharted than a Rockstar game for sure. @get2sammyb Does the bike act as a moving fast travel point? I'm not in love with idea that you may trek away in search of parts or fuel (which is great!) only to have to retrace your steps (not so great!) to get back to it. @Frigate I think I read that when you fast travel it uses up fuel. You can pay camp mates to recover your bike for you if you leave it out in the world somewhere. @get2sammyb Clever. I had been wondering how they would tackle the logistical problem of inadvertently putting massive distance between the bike and DSJ for some time. Thanks. I lived in Oregon for a bit. Beautiful country. Makes me crave Harry & David's. @get2sammyb does it have an online co-op function? Being a big budget Sony made zombie survival with the whole bikie theme, I think this is going to be one of those games that the internet find pretty average but the actual mainstream sales is going to do quite well. Personally I’m really looking forward to the game. But yeah I'm not hyper excited like I was for April last year with God of War (damn 1 year old already what the hell) but April with GOT, Avengers and this game will be a lot a fun.